Who answers copyright and licensing questions in your library? Who addresses compliance issues in your organization? Are they best equipped for this role? Copyright can be complicated, so we’ve created this simple guide to copyright for librarians to get you started. You may also want to view copyright education opportunities for librarians. As a bonus, use this form to download the PDF A Simple Guide to Copyright for Librarians: 15 Essential Facts and Tips. Sign up and we'll send you our Simple Guide to Copyright for Librarians: 15 Essential Facts and Tips. Lawyer or Librarian: Who’ll Answer Your Copyright Question? In many for- and nonprofit organizations, librarians or information professionals manage copyright issues, answer copyright questions, and educate others about copyright law and digital licensing issues. Should a lawyer or librarian answer copyright questions in your organization? The answer depends on the particulars of the issue being raised and the circumstances. Copyright law is no longer the exclusive domain of lawyers. There’s still a definite and important role in copyright for lawyers. However, the role of librarians has and will continue to expand when it comes to the day-to-day copyright management. In most organizations, if you have a legal question you head over to the legal department. When someone has a copyright question, however, they often discuss it with the librarian or information professional responsible for copyright and licensing issues. When did this shift occur, and why? There are as many reasons that answering copyright and licensing questions has fallen to librarians as there are facets of copyright. Librarians’ primary function is as guardians of content — from research materials to music to image collections. Therefore much of what librarians routinely encounter consists of copyright-protected works. Librarians have historically been equated with assistance, research and answers. So, people naturally turn to them for information and help about legally using third-party content. And of course, many librarians and information professionals who don’t have the word “copyright” in their job title have copyright duties as part of their jobs. The reality is that individuals in these roles must understand domestic and global copyright law, contract law, litigation issues and risk management. They also need to be effective negotiators and copyright educators. Looking for just the essential facts and tips? Jump to our simple guide to copyright for librarians. Do Librarians Provide Legal Advice? The fact that librarians are now the first stop for copyright and licensing questions raises the question of whether they provide legal advice. Their role is to recognize copyright issues and direct patrons and researchers to relevant material about copyright law and licensing. But ultimately they should provide the information without providing legal advice (a fine line and not always easy to distinguish). Many libraries now have written copyright policies or guidelines setting out guidelines such as specific amounts of copying allowed. These copyright compliance documents are usually prepared or at least vetted by lawyers. They’re great tools, as they provide librarians with concrete direction that veers them away from providing legal advice. Some librarians may have more extensive experience in certain areas than some lawyers (e.g. negotiating permissions and licenses and interpreting licensing agreements). Increasingly, in many organizations the librarians’ role in copyright goes beyond information dissemination to also include copyright administration and education. Although most copyright and licensing compliance issues fall to librarians, there’s a balance between what lawyers and librarians may do. Librarians may be able to turn to in-house lawyers in large organizations or consult external legal counsel in small enterprises. But even with such access, a common frustration is that it takes too long for librarians to get the advice or answers they need. As a result they must analyze the copyright issues themselves in order to get on with their work. Some organizations have a copyright office and team distinct from the library. In such cases, librarians continue to be integral to the copyright function. For example, they may fulfill roles within the copyright office and be members of copyright committees. Understanding domestic and international copyright law principles helps librarians ensure copyright compliance within their organization and lower copyright infringement risks. Even in organizations with designated copyright librarians or specialists, all librarians and information professionals need at least a basic understanding of copyright law and licensing electronic resources. 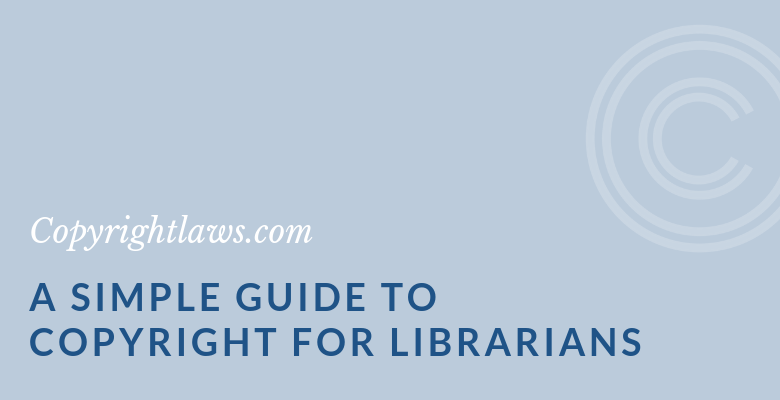 This simple guide to copyright for librarians is your starting point. Unfortunately copyright law isn’t straightforward. There’s no copyright rule book for librarians and information professionals. Rather, copyright acts around the world are interpretative. Librarians must apply their particular facts to the law to determine when and whether permission is needed to use copyright materials. They must make judgment calls (especially with principles such as fair use) and be confident copyright decision makers. Do you have to register a work to protect it under U.S. copyright law? Can you share a PDF of an article that you accessed through a licensed database? Does fair use give you much latitude in using copyright-protected materials? May I make one copy of an article from a journal licensed by our library? Does fair use apply to photocopying 20 articles for an in-house seminar? Do we need permission to use a picture we found through Google Images in a presentation? If you’re based in Canada, visit the Centre for Canadian Copyright Law. For other countries, see Introduction to International Copyright Law. Consider our simple guide to copyright as the start of your copyright education journey. 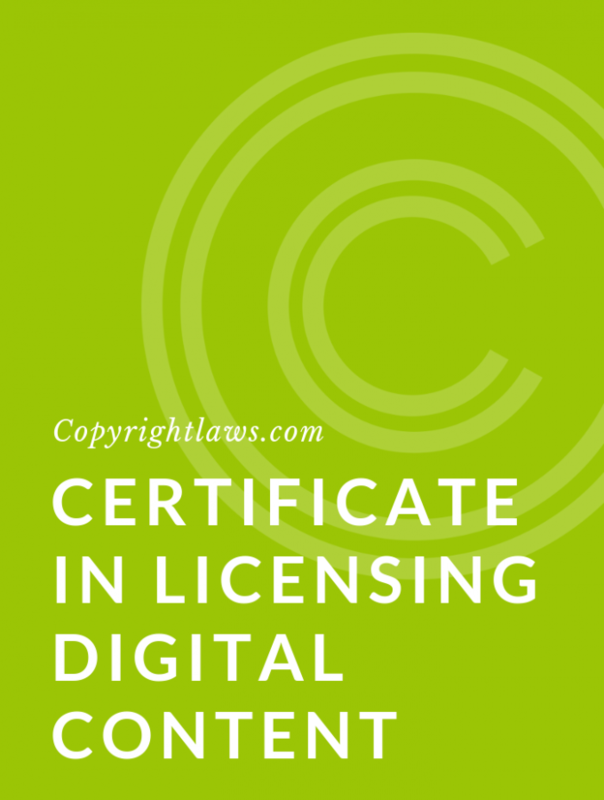 Add other essential information to it as you learn more about copyright law and licensing digital content. U.S. copyright law doesn’t protect ideas, facts or news. It’s the expression of ideas, facts or news that’s protected by copyright. This means you can summarize an article or write a blog post based on news events, as long as you don’t reproduce or copy the article or news story. The general rule of ownership is that the first owner of copyright is a work’s creator or author. This is subject to a number of exceptions. One such exception is the “work for hire” provision. 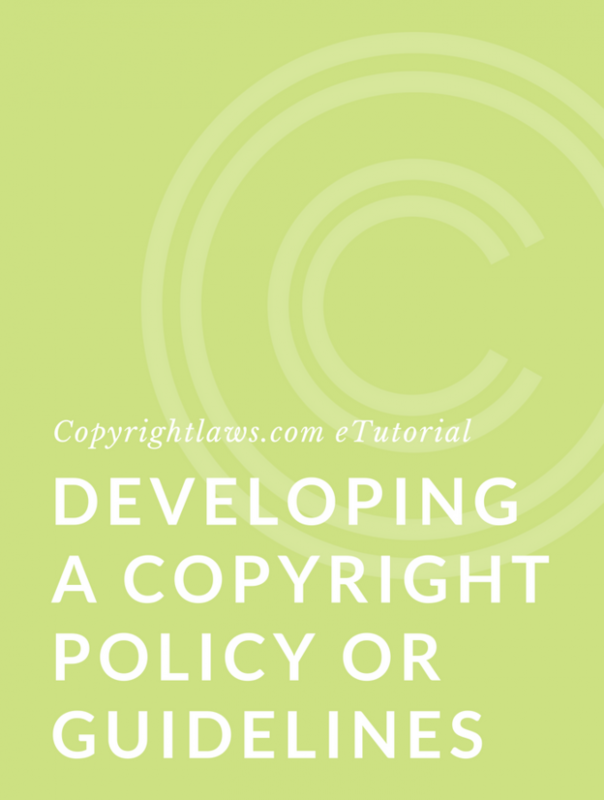 It stipulates that employers, under certain conditions, own the copyright in works created by employees during the course of their employment. Copyright is automatic upon the creation of a work in a fixed form (e.g., written on paper, saved to your computer’s hard drive, or stored on a camera’s memory card). The international copyright symbol and notice (e.g., © Smart Copyright Corp. 2019) doesn’t have to be affixed to the work for it to be copyright protected. Registering works with the U.S. Copyright Office, which requires depositing a copy of the work, isn’t mandatory for copyright protection. However, it does provide some benefits. For the copyright owner, registration provides a presumption of copyright ownership. It also confers certain benefits when pursuing a copyright infringement lawsuit. From a librarian or other user’s perspective, registration makes it easier to identify and seek permissions from copyright owners. However, since registration is voluntary, searching the Copyright Office’s records may not yield the information you need. The general rule of copyright duration is 70 years after the death of the author. This extends until the calendar year end of that seventieth year. Determining copyright duration is complicated due to various amendments to the duration of copyright in the U.S. For more information, see this overview of copyright duration. The works of unlocatable copyright owners are called “orphan works.” If you can’t identify or locate a copyright owner (or if they don’t reply to your permission requests), there’s no mechanism under U.S. copyright law that allows you to legally use that work. This is the case despite the efforts you’ve made to contact the owner. If a work is in the public domain, you can use it in any manner — even modify or adapt it — without having to obtain permission. Some works are in the public domain because their copyright duration has expired. Others may not have qualified for copyright protection in the first place (such as many works of the U.S. government). The U.S. Copyright Act balances the interests of copyright owners with those of content users by including limitations on the exclusive rights of owners. These include fair use and specific exceptions (e.g., for libraries and archives). Fair use as set out in section 107 of the U.S. Copyright Act is intentionally ambiguous. You can never know for sure whether your use of content falls within the fair use factors unless a judge in a court of law decides so. Every fair use determination must be interpreted on a case-by-case basis. The four fair use factors are the purpose and character of the use, the nature of the copyrighted work, the amount/substantiality of the portion used, and the effect of the use on the potential market for or value of the copyrighted work. Fair use applies to all users of content, not just libraries. It may apply in commercial or for-profit situations as well as nonprofit situations. It’s less likely that you can claim fair use in for-profit situations, but it’s still possible. And not all nonprofit uses of content are fair use. Section 108 of the U.S. Copyright Act sets out specific uses which don’t require permission and payment, including preservation copying and copying for interlibrary loans. These provisions are for specific kinds of libraries and may or may not apply to your library or your particular use within your library. For example, these provisions are for libraries and archives with collections that are open to the public, or available to anyone doing research in a specialized field, regardless of whether they’re affiliated with the library or archives. 13. U.S. copyright law applies to copyright-protected materials used in the U.S. The U.S. has been a member of the Berne Convention, the leading international copyright treaty, since 1989. From the information professional’s perspective, this means that when reproducing or sharing copyright-protected materials from the 176 Berne member countries, you should apply U.S. law if you’re using those materials in the U.S.
Maps, brochures and others works prepared by U.S. federal government employees don’t have copyright protection in them and are in the public domain. Anyone in the U.S. can use them freely. However, not all government materials are in the public domain. The U.S. government may own copyright in materials through assignments or bequests. For example, a consultant who prepares a report for the U.S. government owns copyright in that report unless they assign it in writing to the government. Images you find online may be protected by copyright law. Some people think that the images found in internet searches are in the public domain. It’s always prudent to assume that online images are copyright protected until you investigate and determine their copyright status. Our Simple Guide to Copyright for Librarians helps you understand your role when dealing with copyright issues. You should now be able to answer simple copyright questions and educate others about copyright. Use this information to maintain copyright compliance in your organization, but please do not rely on it as legal advice. Seek legal advice where necessary. If you find this Guide to Copyright for Librarians helpful, then you’ll benefit from the Copyright Leadership Certificate program. This online program turns librarians and information professionals and other non lawyers into copyright decision makers.